Writer's block? We're here to help. SampleRadar would never go so far as to say that songwriting is easy, but if you've got a good selection of drum loops and acoustic guitar parts at your disposal, you do at least have plenty of starting points. And wouldn't you know it, that's exactly what's on offer this week - all free for download, of course. The samples are supplied in Drums and Guitar folders. In each of these are further folders that are labelled according to the tempo of the samples contained within them. 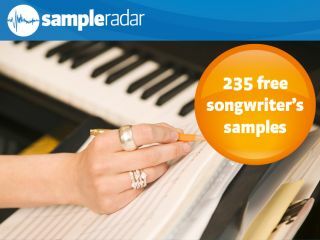 The songwriter's samples are supplied in a zip file, so you'll need to extract them before you can see them. Enjoy!